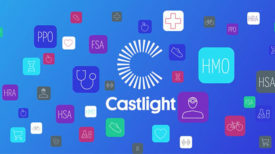 From Castlight’s earliest days over a decade ago, we knew changing the way we navigate healthcare would mean bringing together the best engineers, clinicians, health care wonks, designers, data analysts, and business minds. We built a team with not only a diverse skill set, but also with diverse identities and perspectives that would help us respond to the unique needs of the people who buy and use our products. Since then, we have continuously strived to embed diversity into Castlight’s core vision and values, and to make it a central tenet of our hiring and talent management practices. This year we are taking those efforts one step further by making a commitment to measure the diversity of our workforce annually and hold ourselves accountable for progress. To do so effectively, we worked with a third-party firm, Exponential Talent, to conduct in-depth analysis, which we are publishing on our website today. We are proud of the results. Castlight deeply values women in our workforce, and our report reflects that commitment. 48 percent of our workforce is made up of women, well over the tech industry average. 45 percent of our executives are female, making us a leader among all the other technology companies we studied. And nearly one in three technical employees is a woman. * Note: Tech includes tech roles that are in both the Engineering and Product organizations. We have long made a significant effort to both recruit women and to build an environment that is supportive and rewarding, and we’re pleased to see that it is working. While our racial and ethnic representation is similar to many companies in the tech industry, we still fall short of our company’s goals. Currently, when we look at the racial makeup of our workforce, 35 percent of our employees are Asian, 5 percent are Black, and 4 percent are Hispanic. We deeply value building a racially and ethnically diverse workforce, and we have work to do, particularly in recruiting Black and Hispanic employees at all levels. One area where we knew we could take immediate action is female representation on our board of directors. We are thrilled to have added Judith K. Verhave, chairwoman of the National Business Group on Health and a veteran human resources executive for large global employers, to our board. We want the diversity of our board leadership to reflect the diversity of our workforce, and we are committed to increasing diverse representation on our board over time. Armed with the knowledge from the report, we are taking action by creating a more diverse pipeline of candidates for open positions by targeting underrepresented minority job sites, communities, and events. And we’re taking steps to remove unconscious bias in the interview process. At the same time, we’re renewing our commitment to an inclusive workplace in many ways: sponsoring events and organizations that promote women in tech; enabling Employee Resource Groups to include different ages, races, genders, sexual orientations and perspectives; hosting LGBTIQA Pride events; and partnering with diversity networks, charters, and associations. The report represents a snapshot of our workforce as of August 2018. These results will change month to month. We plan to conduct this analysis annually to measure our progress and understand where we need to make changes. We’ll include other diversity indicators in the future as well, since there’s so much more to an individual’s identity than gender, race, and ethnicity. Every single one of the millions of people who use our health and wellness solutions is a unique individual with unique health needs. Only through the insights gained from experiences that are as diverse as our user base can we build a platform that can guide anyone through their personal health journey.